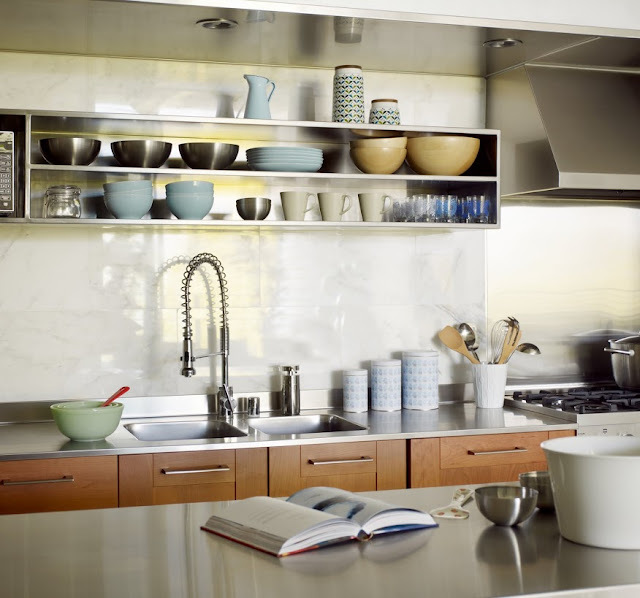 Kitchen is the most important place in any house as it is the place where we cook food and gather with our family to spend time while eating something delicious. 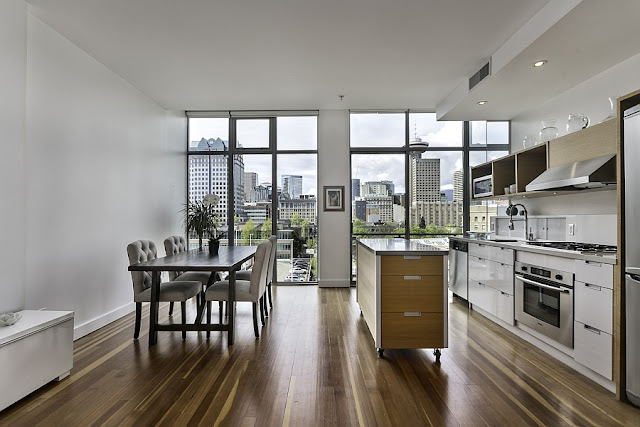 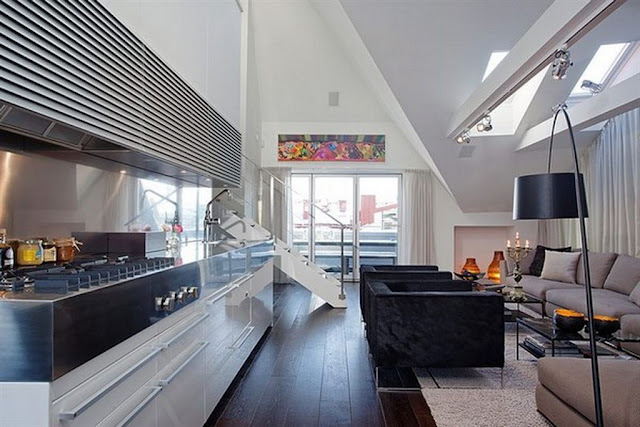 Kitchen has to be very well designed to give that peaceful and attractive look to the space. 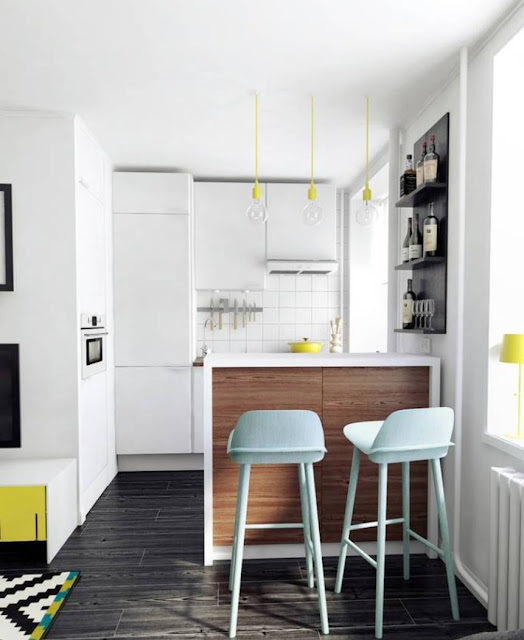 Well a kitchen has also to be space friendly. 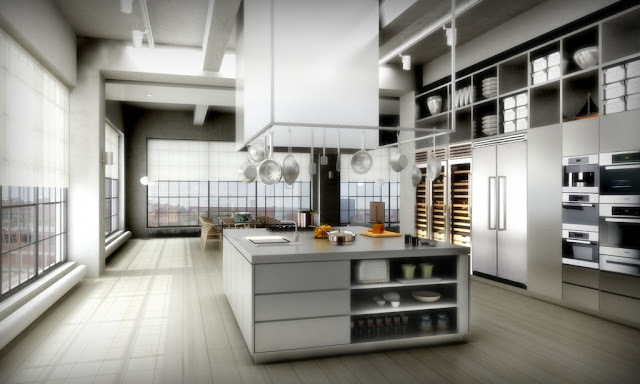 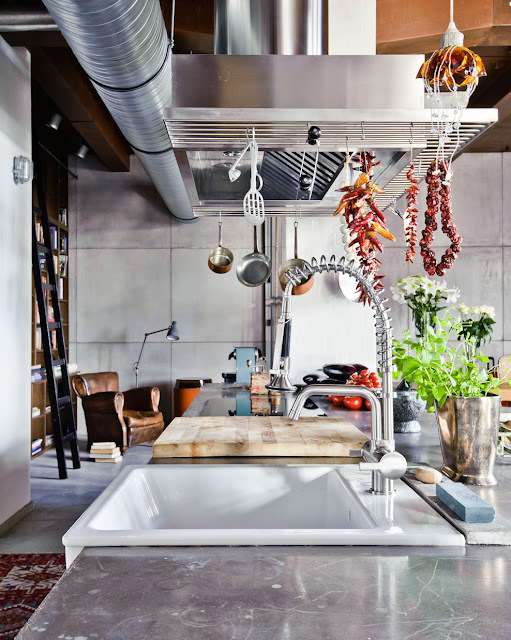 So how to design a kitchen in a loft apartment? 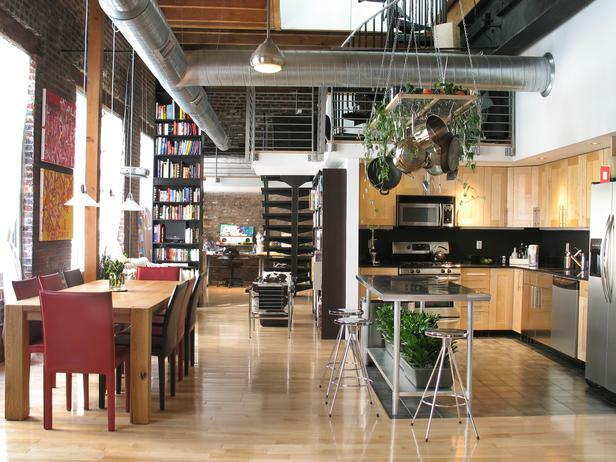 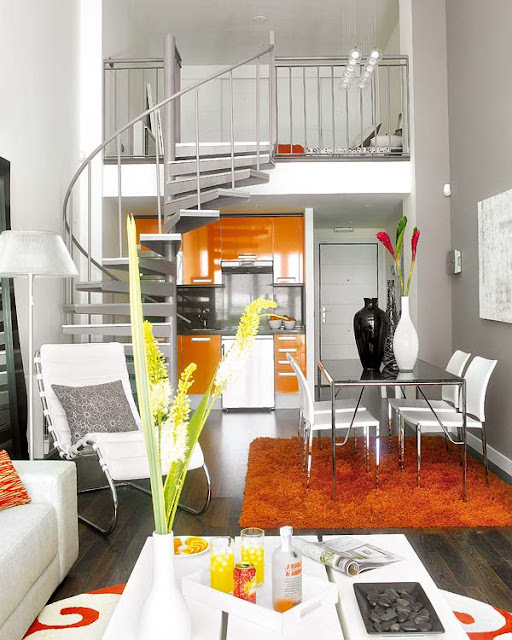 The term Loft is generally used to describe an upper storey or attic in a building or we can say it is the space directly under the roof. 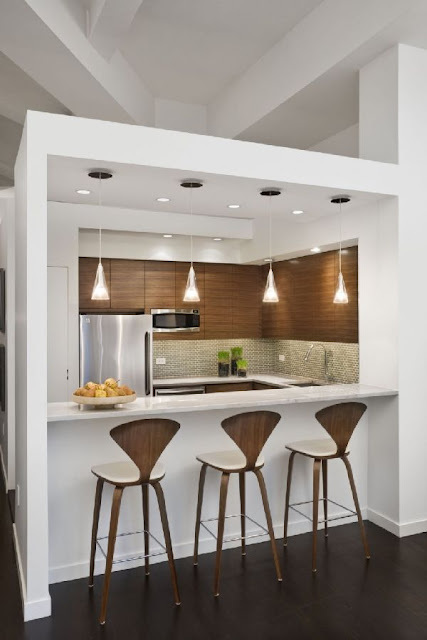 In this kind of apartments the kitchens are usually exposed to the social zone and give a very beautiful and functional look to the space. 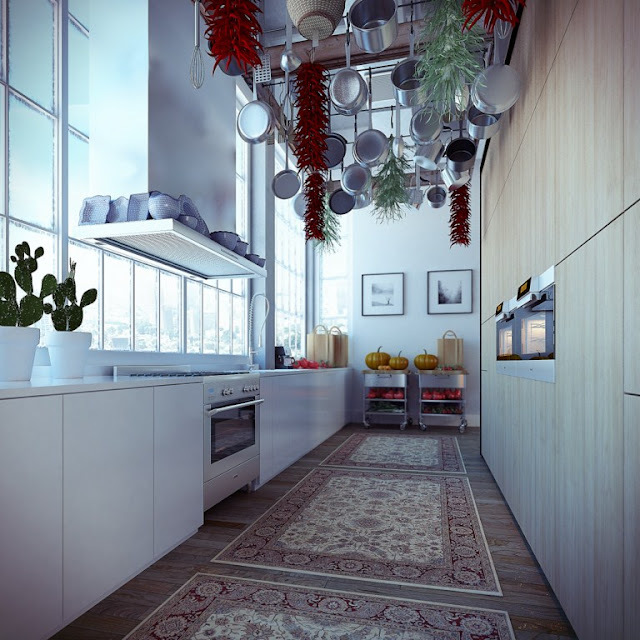 Checkout our latest collection of 22 Beautiful Kitchen Design for Loft Apartment. 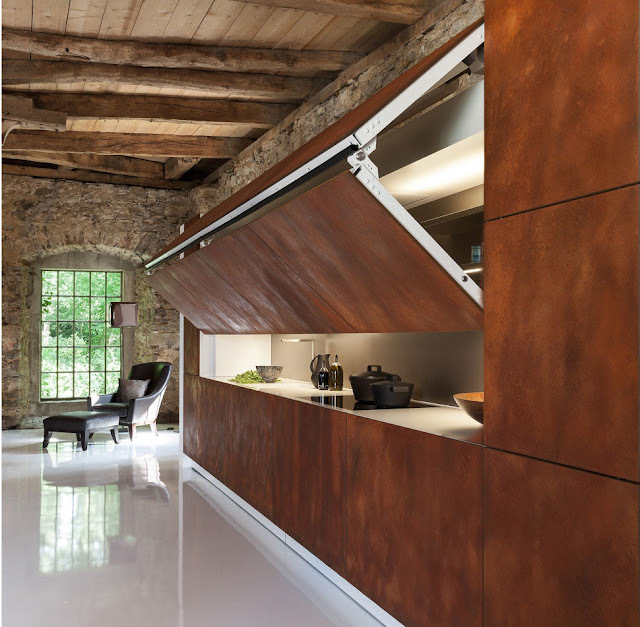 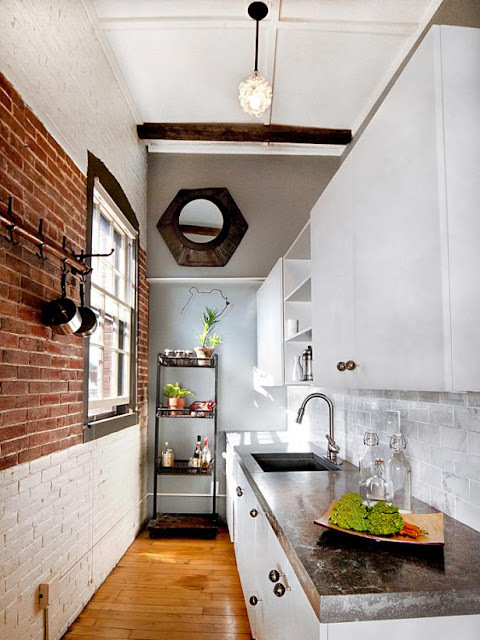 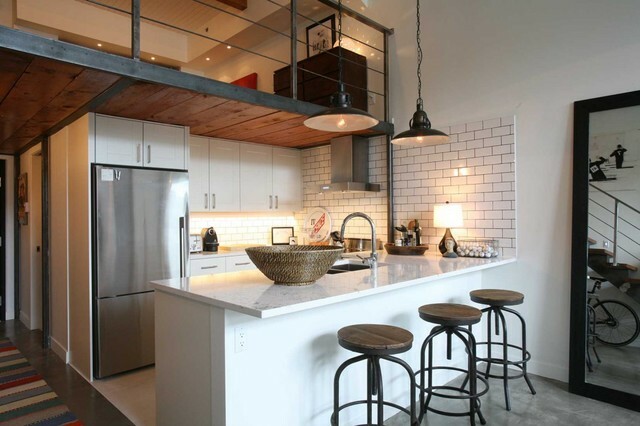 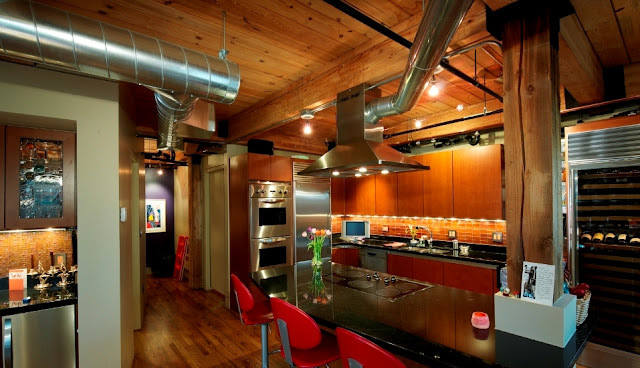 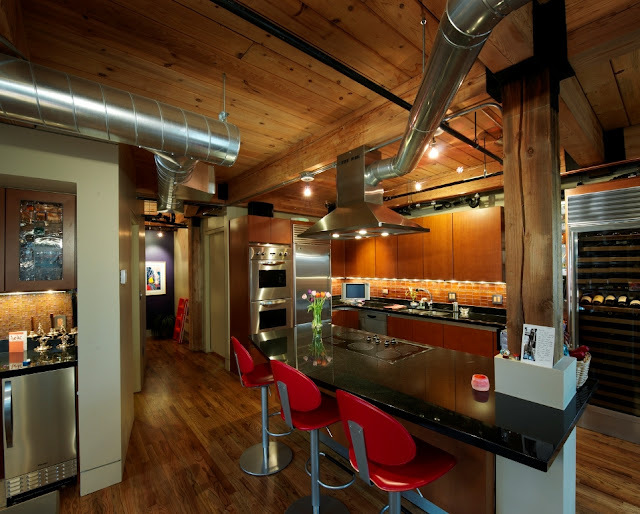 Narrow kitchen wit industrial touch. 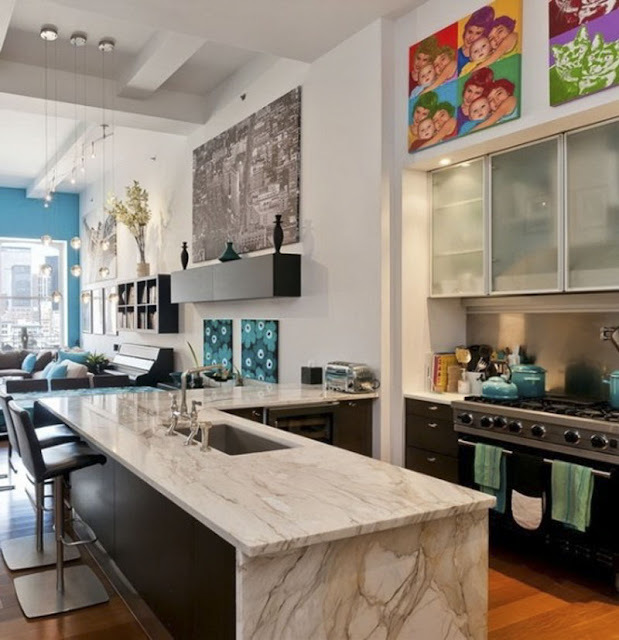 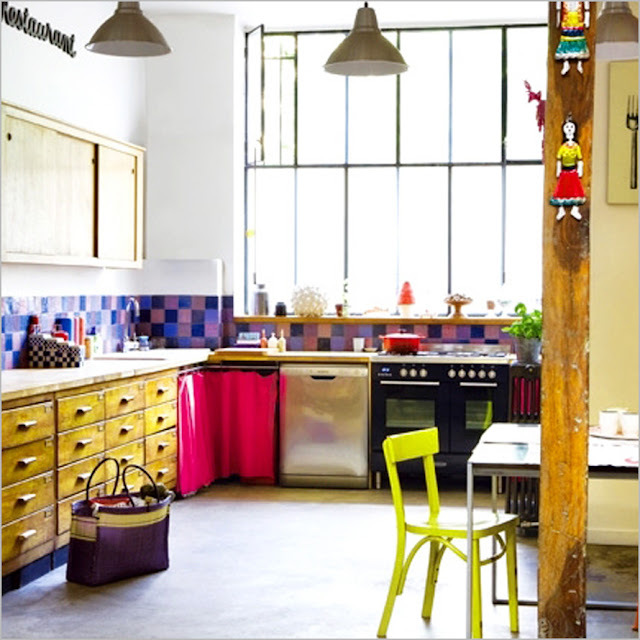 Loft kitchen with colorful accent . 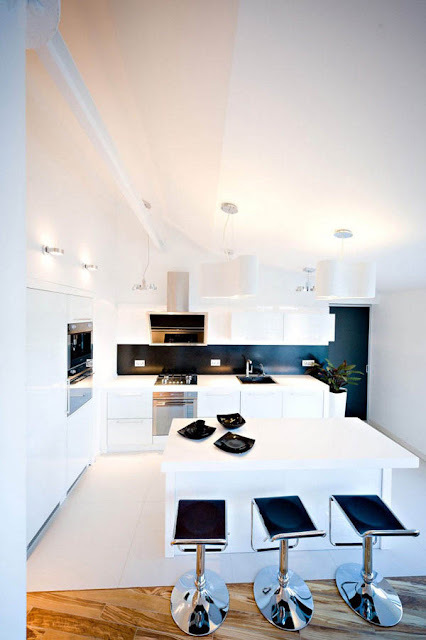 Modern style kitchen and dining space. 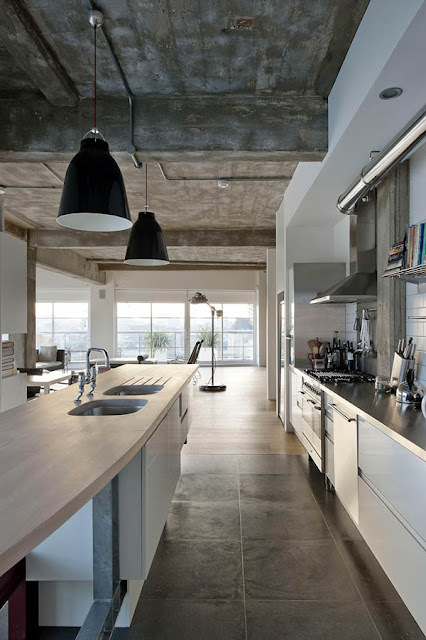 Grey kitchen in loft apartment.